IFAD’s focus on addressing rural poverty is recognised by governments and donors as the Fund’s strategic niche. However, often we face the challenge of how to reach beyond the economically active poor to the poorer households which experience a much more profound depth of poverty – often eating less than one meal a day; sleeping on the floor of a grass-thatched, mud-walled dwelling; regularly being unwell; and withdrawing children from school. These poorer households are often unable, unaware and unwilling to access support networks and services for assistance. They have often given up on facing the challenges of life. Earlier this week, Lawrence Kasinga, Programme Coordinator, and Judith Ruko, Rural Sociologist, from the Programme Management Unit of the District Livelihoods Support Programme in Uganda explained how household mentoring has enabled the programme to deepen the programme’s level of engagement in addressing poverty. The success of household mentoring has been recognised by the Ministry of Local Government which is keen to promote the mainstreaming of household mentoring into local government services to scale it up in those districts that are not covered by DLSP. Alessandro Marini, CPM Uganda, welcomes this initiative. “I have worked as a CPM for a number of years and have struggled to find mechanisms through which we can reach out to the really poor households and allow them to benefit from the different activities and investments of the various projects that IFAD is financing. Household mentoring is enabling us to do that, and I am very committed to making increasing use of this in future activities in Uganda as the main tool of our country programme for targeting and social inclusion”. 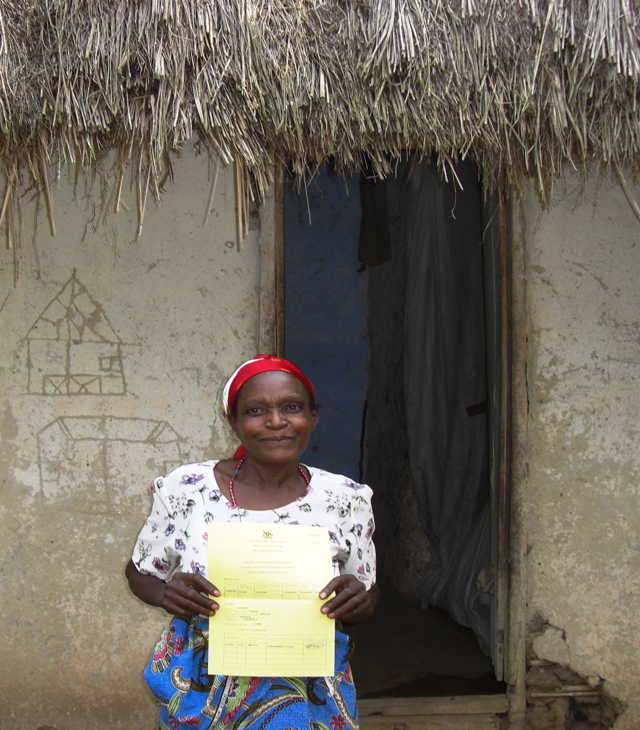 In DLSP, poorer households are selected by the community to participate in household mentoring. These families are normally beyond the reach of the mainstream programme activities – they do not belong to farmer groups so do not benefit from agribusiness development initiatives, they have no surplus to sell so they do not benefit from improved market access, and they self-exclude themselves from community meetings so their views are not reflected in planning activities. But after one or two year’s mentoring, the lives of poorer households turn around. Household sanitation and hygiene is improved, they undertake extremely modest investments (known as near-nil investments) to make use of the resources they have available – including under- or un-utilised land - and gradually household food security improves. Household members start connecting with ongoing initiatives – such as adult literacy classes - and accessing services – in particular health services. Household mentors also benefit by gaining status in the community. How has this profound turn around been achieved? Household mentoring comprises visits to individual households by a trained mentor over a period of one to two years. The mentor engages with all adult members of a household to support them in examining their problems together, developing a vision and identifying their own pathways out of poverty, associating with others and – eventually - becoming self-sustaining entities. The change occurs because – as a result of this process - there is a new level of trust, transparency and motivation between household members built around their common vision. Attention is also paid to identifying and addressing gender inequalities. As a result of engaging both with women and men in a household, joint land titling is common, women are gaining a voice both within the home and outside, and wife-beating is reducing dramatically. Of course, there are challenges. Some mentors - who are all volunteers - lose heart, households do not want to be mentored, while successfully mentored households are reluctant to graduate. And sceptics will argue that – while this is a great initiative on a pilot basis – it is not replicable at scale. It is true that resources are required to train the community development staff, support them while they train the mentors, and provide modest remuneration to the mentors. But the benefits are enormous, tangible and sustainable. Compared to the other programme components, the costs are negligible. Judith Ruko explained: “In DLSP, a network of over 600 mentors – back-stopped by District and Sub-county Community Development staff - across 13 districts has already mentored 18,000 households. We would estimate that around 60 per cent have now progressed to the point of becoming self-reliant and in a position to embark on a sustained pathway out of poverty”.